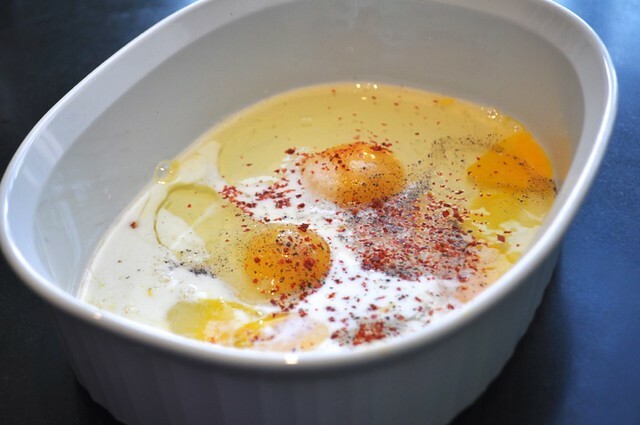 Eggs Dash of milk Healthy shake of salt and pepper Aleppo pepper Green chilies –> Peppery french toast. 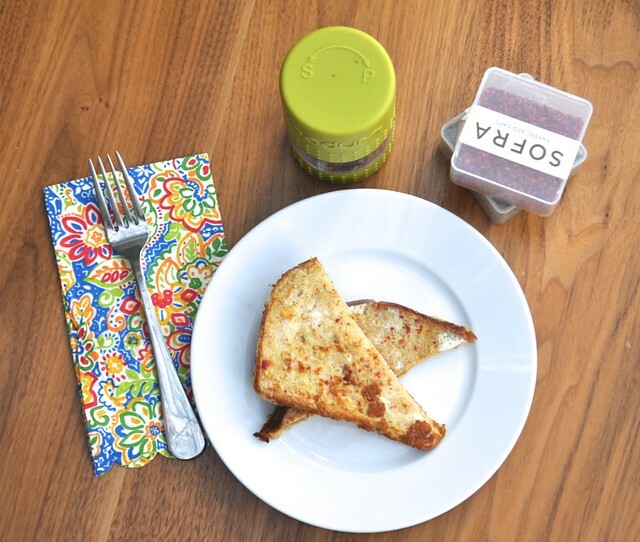 I like the idea of a peppery French toast. 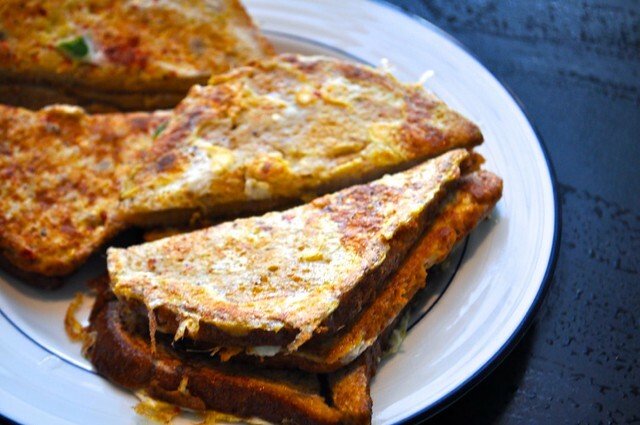 My parents would make a savory version with a coating of besan and spices, but your version is closer to a real French toast recipe. You’re back after a long time, Nithya. Good to see you back. I like your website and all the posts have great recipes.